So you want to protect your home, but you’re not interested in getting a hard-wired system installed. We get it – why have someone else do it when you can do it yourself? In fact, there’s never been a better time to invest in a DIY smart security system. The market is filled with kits that consist of simple hubs and a combination of wireless sensors and cameras that you can easily install without worrying about running cables or ruining drywall. These kits are typically (but not always) more affordable than a professional installation, while still giving you the necessary devices to protect any home. Plus, there are no long-term contracts to worry about. If you’ve been feeling that security around your home is a little lacking, these kits make the perfect starting place. Here’s a list of some of our favorites. And if you’re uncertain whether you want to do it yourself or have one installed for you, we also have a list of the best home security systems, which is a combination of professionally installed and DIY kits to help you. SimpliSafe redid its DIY kit for 2018 with a brand new (and much better) look and better functionality, including dual cellular and Wi-Fi connections, so the system won’t be disrupted by a power outage. The Knox is an excellent choice for larger homes where you already know you’ll need more than one or two sensors for full protection. It comes with a base station and separate keypad, a key fob, six door sensors, two motion sensors, a siren, and a smoke detector, all in one package. Professional, no-contract monitoring is available for $15 per month, and you can add extra devices like outdoor cameras, smart locks, and more. It’s an excellent system if you want to start off big. Nest Secure (read our full review here) is the best example of what a home security starter kit should be: Simple, easy to understand, and unobtrusive while it’s working—but with plenty of options for expansion or additional features. The kit comes with the Guard hub, a round device with a number pad that tracks all the other sensors, but also incorporates a siren and motion sensor of its own. You also get two Detect motion sensors to set up where you please around the house, and two Tag key fobs that will let you pass through them. You can disarm the detectors with a code, or simply choose a silent mode to avoid triggering the alarm when necessary. It’s an expensive setup for three motion detectors and no cam, but Nest’s devices are state of the art, responsive, and minimalistic, so you really get what you pay for.. You can add indoor or outdoor cams, video doorbells, and additional motion detectors whenever you want to expand the system. You can also arrange for mobile notification, and enable professional monitoring via Brinks Home if you prefer. 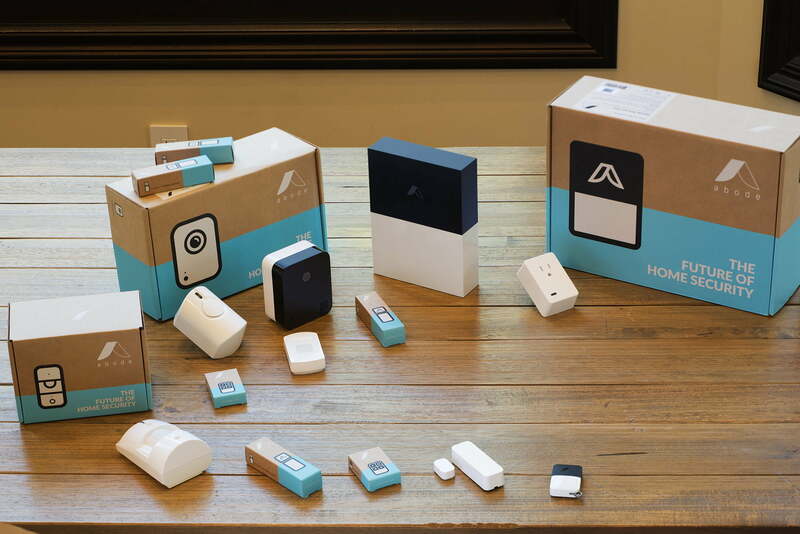 Much like the Nest Secure, Abode’s starter kit includes a Gateway that acts as a hub (although the excellent app also allows for full control), a door/window sensor, a general motion sensor, and a key fob for access. Where Abode differs is in compatibility: While Nest Secure is designed to only work with a few Nest devices, Abode offers compatibility with Z-Wave, Zigbee, and Wi-Fi technologies, allowing for many different third-party integrations, including devices that you may already own. Add in the many different sensor options you can buy from Abode, and this DIY system is one of the best around for expansions or integrating with older devices. It’s also compatible with Alexa and Google Assistant for voice commands. Read our full review to get more details. Ring’s security kit combines a few more traditional elements of home security systems with a newer DIY approach that works well if you are comfortable with a classic setup. The kit comes with a base station, a separate keypad to install on the wall, a contact sensor, a motion detector, and range extender (plus compatibility with all other Ring products, specifically their video doorbells and security cameras). That’s an excellent array of products for a great price, and they are easy to set up and understand even if your experience with home security systems is limited. The keypad allows you to switch between Away, Home, and Disarmed modes, like traditional systems, but with useful features like programmable delays for arming, and push notifications for your phone app. Ring also offers 24/7 professional monitoring and video recording for a fee, with no cancellation fees if you decide to go back to a simpler setup. Get more information from our full review. Let’s explain this kit’s origins: ADT partnered with Samsung to create a home security platform that was compatible with Samsung SmartThing devices, but primarily focused on ADT’s fledgling DIY-friendly smart security devices. So, the kit is a good choice for those who appreciate the historic work that ADT has done in home security…and want ADT’s professional management services to supplement their DIY approach. The kit itself comes with a large touchscreen hub, a motion detector, and two sensors for your windows and doors. Make no mistake, ADT intends for this system to be paired with its professional monitoring, which means monthly fees—but there is a “no monitoring” option you can choose. However, the system really shines when you see how easily it can become a whole house smart platform. ADT has sensors to monitor everything from carbon monoxide to water leaks, and SmartThings has devices to manage lighting, thermostats, door locks, and more. The kit gives you a hub to control everything from…as long as you’re willing to stick with these brands. You can get more details from our full review. Are all these high prices making you cringe? Ooma’s kit is priced in a much more affordable range. The kit includes the Telo hub and a motion sensor—which may not seem like much, but it comes with a big bonus: You get free home monitoring for the sensor, with the added ability to route a 911 call through your home phone for assistance if something seems wrong (the sensor will push notifications to your phone if the alarm is set to off). Ooma does let you add door, motion, and leak sensors to the system as needed, but the kit itself is better suited for an apartment or smaller home.